We are happy to announce that our Aqusaky PumPlus Pressure Tank have recently Certified with NSF 61. Aquasky is the only Pressure Tank manufacture having certified for the whole product Line. Aquasky care your water quality. Nitrosamines are chemical compounds of the chemical structure R1N(–R2)–N=O and are used in the manufacture of rubber products. Nitrosamines can cause Cancers. Currently available epidemiological evidence from case-control studies on nitrite and nitrosamine intake supports a positive association with gastric cancer risk. 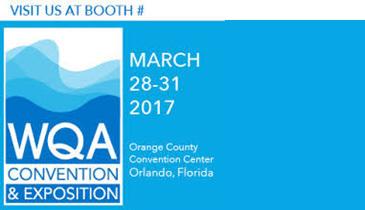 The WQA Annual Convention and Exposition brings each segment of the water treatment and supply market together in one place. The event provides a forum for people to learn about new ideas and innovative technology, develop relationships and their business, and learn about equipment and devices. 2017 AHR EXPO - International Air-Conditioning, Heating, Refrigerating Exposition is a 3 day event being held from 30th January to the 1st February 2017 at the Las Vegas Convention Center in Las Vegas, USA. The Shield is 3 times thicker compared to epoxy coating. Perfect to install in high humidity and salt content environment such as coastal areas or rainforest climate. GO GREEN! Help our planet! 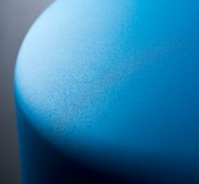 The Shield contain zero Volatile Organic Compounds, and generate less 80% waste waterduring application. How to know your reverse osmosis tank is not functioning?